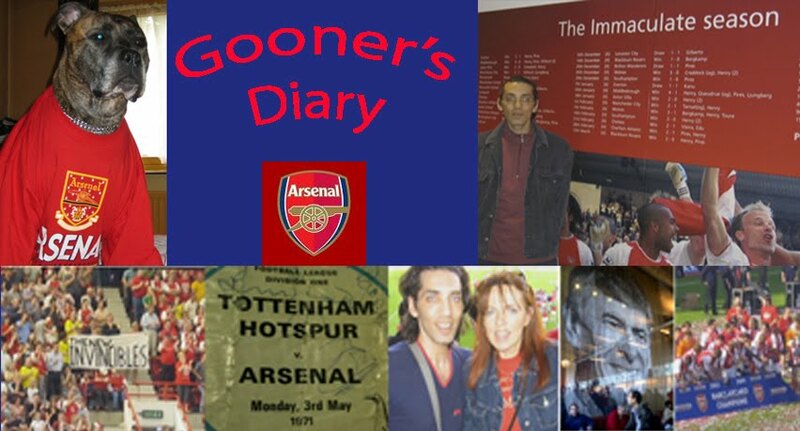 Gooner's Diary: Here We Go Yet Again! Here We Go Yet Again! "Where's Our Money"....in the bank, instead of on the pitch!! They were giving away free matchday programmes at the Arsenal this afternoon, to celebrate ten years at our new home, but I'm sure that like me, most Gooners would've much rather that they took all of our £3.50s and put them in the pot for a new centre-half and a new striker! Losing to Liverpool on the opening day was bad enough, but losing Iwobi, probably our most effective player on the day and Ramsey, an expected shadow of the influential player for Wales, was really adding insult to injury. 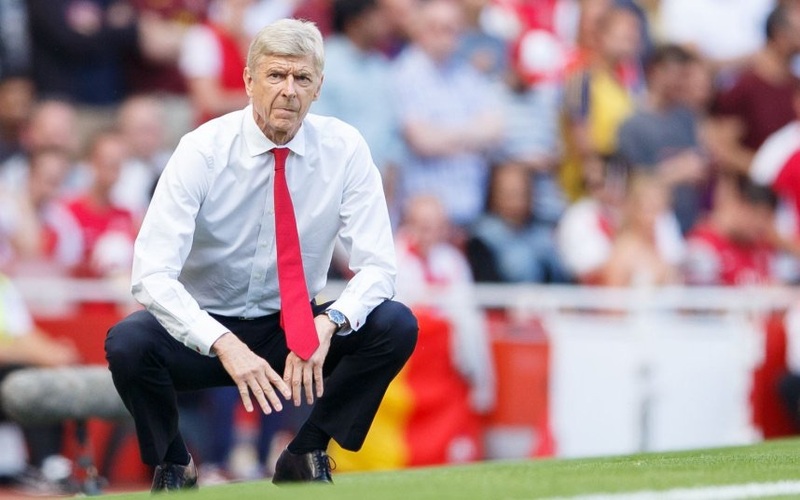 I joked at half-time that perhaps a 4-1 defeat would be the only thing that might convince Wenger that he can't get away with it this season and force him into some long-awaited transfer action. Yet I was only joking and really didn't expect us to be looking down the barrel of such a demoralising scoreline within the blink of an eye. Credit to the Gunners for making a game of it by dragging themselves back into contention with two goals, but at the end of the day, while this might offer some psychological consolation, it still amounts to three points dropped, when, thus far, none of our competitors have slipped up, despite similarly unimpressive performances. The fragile truce that’s existed between the Arsenal’s factions lasted all of an hour into the new campaign. After the sort of dominant first-half display that suggested “project Klopp” is still a work in progress, it was disappointing enough to be pegged back, following award of a soft free-kick that resulted in Coutinho’s stunning set-piece equalizer, with almost the last kick of the half. However the sun was shining, the footie was back and we still had another forty-five minutes to prove that our uninspiring attack was sufficiently more potent than the Scousers, to pocket the all-important three points. Sadly, the transformation which took place immediately after the break would appear to have highlighted, yet again, the crucial significance of some vocal personalities in the dressing room. After the high press and focus of the first-half, the Gunners ambled out after the break with a tepid lack of intensity. 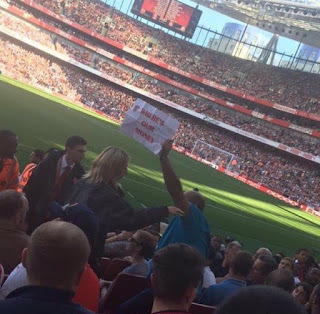 Whereas our guests returned to the fray seemingly fired up for the devastating fifteen-minute, three goal spell, which left the more fickle ranks of the Gooner not-so-faithful marching out the exits in absolute disgust, bellowing “spend some f#ckin’ money” as they went! Personally I don’t know how anyone can walk out in protest, with nearly half an hour still to play. When first the Ox and then Chambers restored some respectability to the scoreline soon after, I couldn’t help but feel that it served these disloyal dolts right that they missed out on the Gunners admirable fightback to 3-4. Nevertheless, the acute air of frustration was perfectly understandable. From the moment we became aware of the starting line-up on Sunday, every Arsenal fan was resigned to the likelihood that an opening day victory was going to be dependent on a performance that wasn’t quite as poor as that of our opponents. The walls of Arsène’s ivory tower remain disturbingly impermeable, with le Prof seemingly the only man on the planet who has yet to accept Alexis’ absolute ineffectiveness in the central striker’s role. And it amounts to nothing short of blatant incompetence that a club of the Arsenal’s stature should be left kicking off a new campaign with a completely untried and inexperienced centre-back pairing. I’ve not given up on Calum Chambers and Rob Holding looks particularly promising, but it was a very big ask to throw these two in at the deep end. In truth, we were fortunate that they didn’t end up on the wrong end of the sort of embarrassing thrashing that could’ve done permanent psychological damage to both their careers. When we are seeing the likes of Everton replacing Stones, with the battle-hardened Ashley Williams, for a relatively meagre £11m, or Spurs taking a £17m punt on Janssen adding to their goal tally, frankly I just do not buy the argument that the Gunners are doing their best to plug the glaringly obvious gaps in our squad. Moreover, with every other club having recalled their Euro stars in good time for the kick-off, I just don’t understand how Wenger justifies leaving Giroud, Koscielny and Özil cooling their heels, knowing that this could and as it turns out has cost us points! They might well return that bit fresher, but this will be of little benefit if we are already out of the Premiership picture! Only the day before, I was criticizing Pochettino for his negative selection of two defensive midfielders at Everton. Presumably Wenger’s chose to play Coquelin and El Neny, in an effort to protect our callow centre-backs, but sadly this was at the expense of leaving all our creativity on the bench. Arsène spoke of the last two weeks of the transfer window as “a poker game” in a press conference during the US tour, but this is not the case for those clubs willing to put the money on the table necessary to secure their targets. In our efforts to save a couple of million quid, in a game of bluff that is fooling absolutely nobody, it seems to be a calamitous false economy, as Wenger perennially leaves himself shopping for the last few remaining turkeys on the shelves!